Dynamite Entertainment is proud to announce that Barbarella's first ever comic series, timed this coming Fall to celebrate the 55th anniversary of the legendary heroine, will feature the writing talents of industry legend Mike Carey (Ultimate Fantastic Four, X-Men, Lucifer). Additionally, Jean-Marc Lofficier - longtime custodian of the Barbarella brand - will join Carey as supervisor on the project. "In the 1960s, Jean-Claude Forest's Barbarella was a character who helped to define her era - the first emancipated heroine for a decade that questioned all rules and moral codes," says Mike Carey. "I'm hugely excited to be involved in re-inventing this classic and iconic character for the modern age, and introducing her to many readers who weren't even alive when she first travelled the spaceways." Mike Carey is a British writer whose work spans comics, books, TV and film scripts, and radio plays. His novel The Girl with All the Gifts was an international bestseller, and adapted by Carey for the 2016 Colm McCarthy-directed film. He's written for DC and Marvel, including acclaimed runs on Ultimate Fantastic Four and X-Men, and with Peter Gross, Lucifer and The Unwritten. His books include Fellside, the Felix Castor series, and The Steel Seraglio (with Linda and Louise Carey). Created by Jean Claude Forest in 1962, Barbarella was introduced at the heart of the Sexual Revolution, and is forever ingrained in pop culture after Jane Fonda's unforgettable portrayal in the 1968 film. 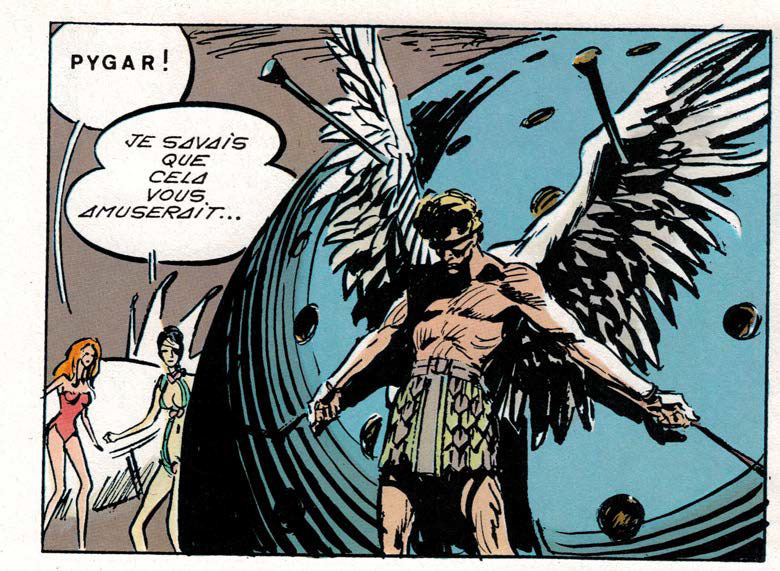 She was a key figure in the fertile battleground of French comic books and the struggle for sexual freedom in the medium, and has not appeared in a new series since her last appearance in the legendary science fiction publication, Heavy Metal. Senior Editor Matt Idelson says, "I can't begin to express my pride in getting to be part of the first new adventures of Barbarella in decades, and I'm excited for all the comics readers who don't know of her exploits and are going to want to find the original material after reading this book. The bonus of finally getting to work with Mike after years of cyberstalking him is the cherry on the sundae, and if the early going is any indication, this book is going to be amazing!" 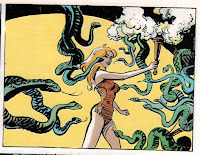 Jean-Marc Lofficier says, "Working together with Dynamite on the creative development of a new Barbarella series has been both inspiring and enriching. Julien Forest and I are very happy that Mike has chosen to join our team, and can't wait to see the new directions in which he'll take the book." "We've stayed in touch with Jean-Marc for quite a few years waiting for the time to be right to allow us to publish Barbarella. Matt worked hand in with Jean-Marc to find the right creator who can capture her voice and bring her to a new audience," states Dynamite CEO/Publisher Nick Barrucci. "We are incredibly fortunate to be working with Mike Carey again. We worked with Mike just after launching Dynamite with Red Sonja, and have been looking for the right project to work on again. And Barbarella is that project! Mike will bring new depth to the iconic character." Dynamite Entertainment first announced the return of Barbarella to comic books in October of 2016, welcoming the sci-fi icon to their stable of strong female heroines alongside Red Sonja, Vampirella, Sheena, Dejah Thoris (of Warlord of Mars), and more. 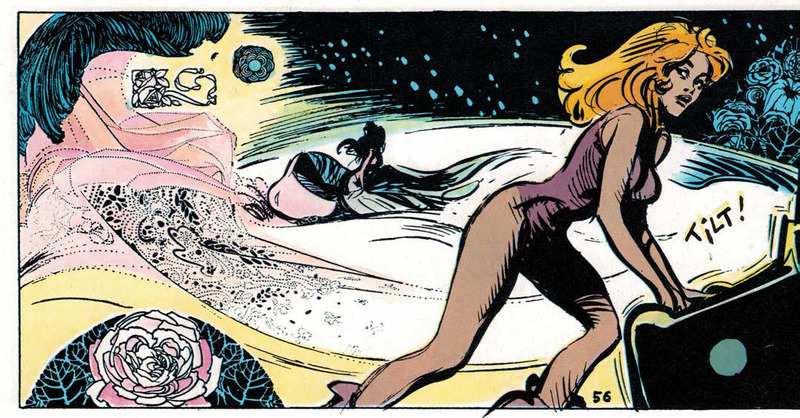 In addition to original comic book stories, Dynamite can develop Barbarella in categories which include art books and 3D figurines. Barbarella will be solicited in Diamond Comic Distributors' Previews catalog, the premier source of merchandise for the comic book specialty market, and slated for release this Fall. Comic book fans are encouraged to reserve copies with their local comic book retailers. Barbarella will also be available for individual customer purchase through digital platforms courtesy of Comixology, Kindle, iBooks, Google Play, Dynamite Digital, iVerse, Madefire, and Dark Horse Digital.